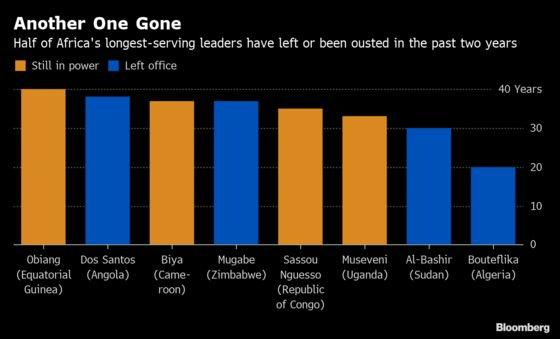 (Bloomberg) -- Sudanese President Omar al-Bashir is the fourth African leader serving for many decades to step down since 2017. His departure on Thursday, which ended 30 years in office, comes after Algeria’s Abdelaziz Bouteflika was forced to resign earlier this month. Angola’s Eduardo dos Santos is the only one of the former presidents who wasn’t forced out by the nation’s military or public protests.